Aicle. 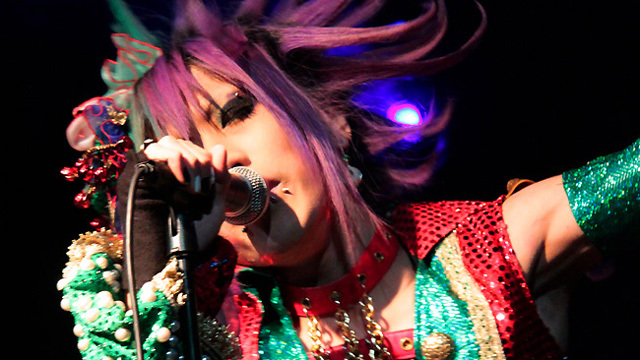 is an oshare kei band whose theme is based on the mixture of grotesqueness and bubblegum pop. This is expressed in both their music and their lyrics, switching between dark, powerful rock and bright, cheerful pop. Their outfits are also particularly original, characterised by colourful, vibrant styles and themes taken from various experiences. Aicle. certainly brings plenty of new and original thinking to the industry.